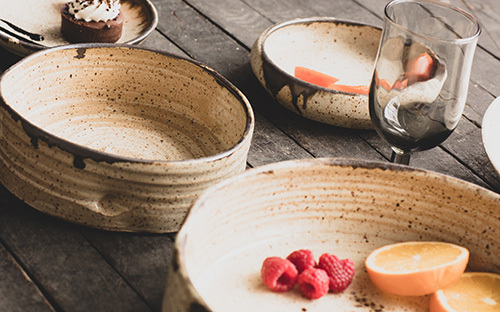 Gina DeSantis Ceramics strives to create well crafted tableware and home decor. Gina's work has been featured in Ceramics Monthly, Better Homes & Gardens, Midwest Living, Uncommon Goods, Edible Cleveland and Cleveland Magazine. She also creates one of a kind pieces for restaurants and chefs. Each bowl is hand thrown then carved. 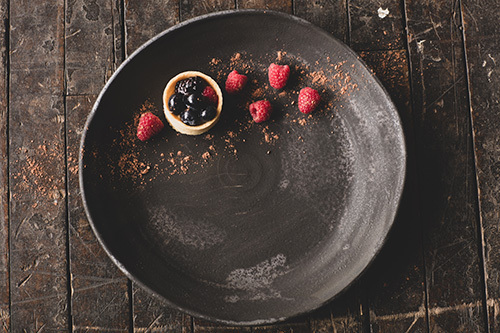 The collection consists of three serving bowl sizes with the largest measuring over 12 inches wide. 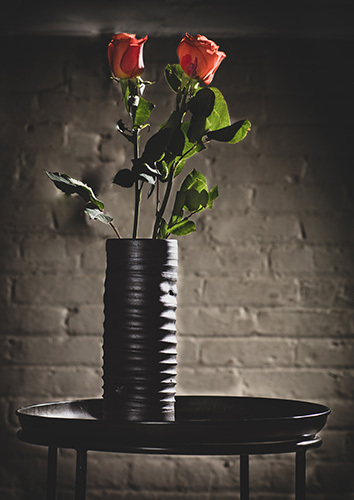 It also include a taller vessel perfect for utensils or even as a planter. This piece is the perfect serving dish and focal statement for your home. It measures 12 inches wide. Inquire if you wish to order this item in a smaller size. This piece is hand thrown and altered on the potter's wheel. It measures ten inches across. Perfect for serving or as a statement piece in the home. 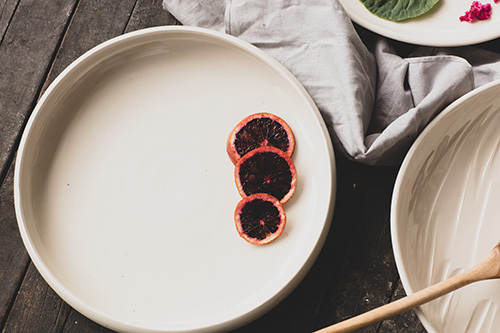 The Luna Serving Bowls are three nesting bowls with the largest measuring 12 inches wide. It also includes a taller vessel perfect for utensils. 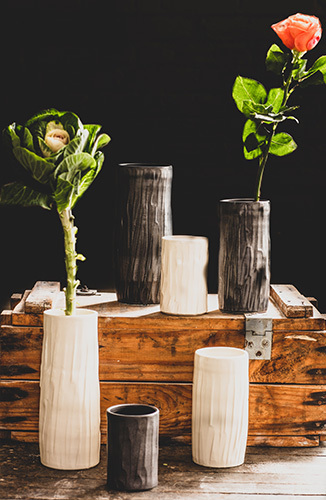 This brand new collection features a series of three vases measuring 5, 7 and 9 inches tall. Perfect alone or staggered together. Each piece is left with the grooves from wheel throwing and are slightly assymetrical. This brand new collection features a series of three vases measuring 5, 7 and 9 inches tall. Perfect alone or staggered together. Available in gloss white, gloss aqua or matte black.